“Admissions,” the new drama by Joshua Harmon at Lincoln Center Theater, is funny and provocative. But don’t trust my biased opinion. 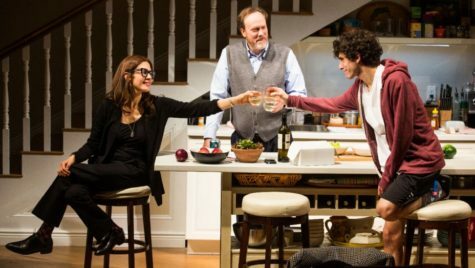 The play is a Critic’s Pick from the New York Times and THR says: ‘Jessica Hecht plays an administrator intent on diversifying the student body at a New England prep school until progressive values conspire to derail her son’s Ivy League path in Harmon’s biting comedy-drama.’ Jessica Hecht, Andrew Garman, and Ben Edelman are pictured.